Running out of storage space in your satchel? 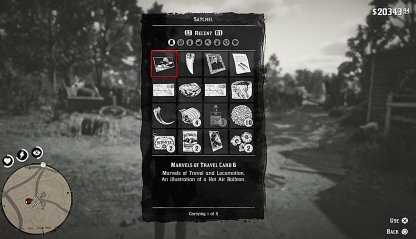 Read this Red Dead Redemption 2 guide on how to upgrade your satchel in camp and after chapter 6, available satchel upgrades, and more! 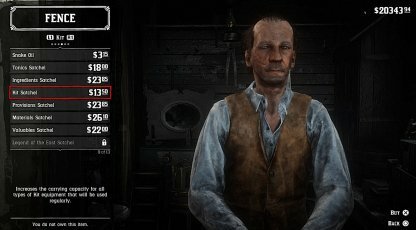 You need to talk to Pearson in your camp to upgrade your satchel. He will provide you with a list of available upgrades, the cost, & conditions to improve on them. 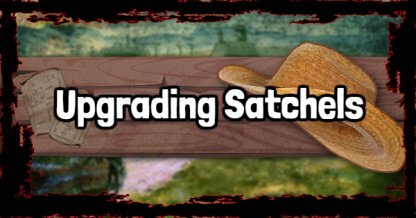 Some satchel upgrades require fulfilling camp requests and upgrades - either donating money or materials or upgrading your wagons, etc. Satchel upgrades increase the carrying capacity for certain items. Depending on the satchel you equip, the amount of items you can carry from that type will increase. 1 x Perfect Elk Pelt Purchase leatherworking tools in ledger. 1 x Perfect Squirrel Pelt Purchase leatherworking tools in ledger. 1 x Perfect Panther Pelt Purchase leatherworking tools in ledger. 1 x Perfect Raccoon Pelt Purchase leatherworking tools in ledger. Upgrade the Provisions wagon twice at the ledger. 1 x Perfect Iguana Skin Purchase leatherworking tools in ledger. Craft 3 recipes at the scout fire. 1 x Perfect Rabbit Pelt Purchase leatherworking tools in ledger. 1 x Perfect Wolf Pelt Purchase leatherworking tools in ledger. After Chapter 5, you will not have access to your camp anymore and therefore won't be able to upgrade your satchel in this method. 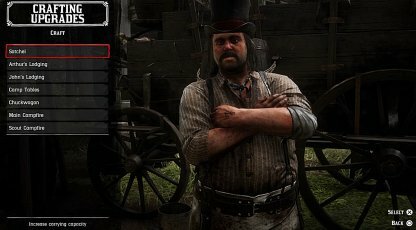 After Chapter 5, you won't be able to upgrade your satchel but you can purchase them from the fence in Rhodes or St. Denis. The Legend of the East Satchel increases capacity to carry ALL ITEMS in the game. You need to craft all other satchels or purchase all other satchels to get access to this one. 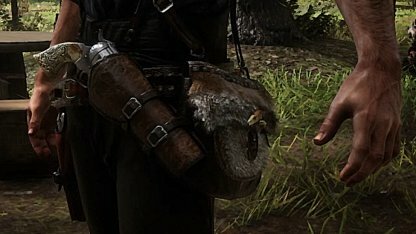 The satchel is a bag your character carries around to keep your items. This includes provisions, tonics, ingredients, and more! You automatically start Red Dead Redemption 2 with the satchel. You can upgrade it over the course of the game in camp or purchase better ones through a fence after Chapter 5.